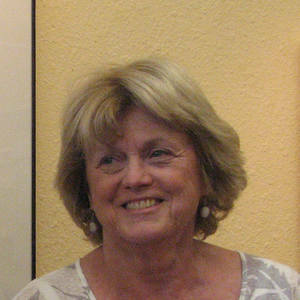 Loraine Veeck is a native Californian, presently living in the Los Angeles area. Remote Places. Big and expansive places. Places where one sees an endless horizon or where the sky and the land become one. Places where one can see the push, thrust and power inherent in the land. Places where one can think about infinite possibilities. These places and the results of my reaction to these places linger in my thoughts and in my art. I feel fortunate that I can visit these remote and isolated places. study the dynamics of what stands before me and use my knowledge of the elements of art to construct a composition that represents my consciousness, experience, and understanding of the value and essence of the place. I have been given many solo shows in galleries through Los Angeles and southwestern United State. Schomburg Gallery, Whites Art Framing and Restoration, Old Pueblo Frameworks and Gallery in Tucson, Howell Green Fine Arts Gallery are some of the more recent venues in which she has exhibited. She also participates in juried shows and has won many awards. 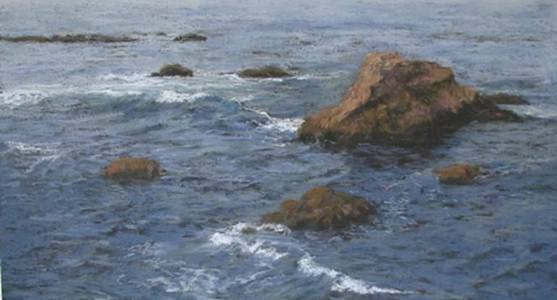 Recently she has exhibited at Wilding Museum in Solvang and the Pastel Society of the West Coast in Morro Bay.